Dinesh Nambiar captured the essence of the key message of the day when he described Malaysia as a ‘best kept secret’ in anticipation of the keynote speech. The session started by addressing Malaysia’s trading partners pertinent to the audience. Perhaps surprisingly, there is a total of RM90 billion in 2 way trade between Australia and Malaysia, with Malaysia ranking as Australia’s 12th highest ranking trading partner. Much of the trade growth in Malaysia stems from staple industries such as petroleum, metals and electrical. That said an area of considerable growth in Malaysia is Digital.The digital economy accounted for 18.9% of Malaysia GDP in 2018, from 16.5% in 2010 with a total of RM128 billion in returns. Equally impressive is the fact that eCommerce accounts for 12.5% of GDP with RM88 billion. There is therefore no doubt that digital and IT now represent a cornerstone of the Malaysia economy and this agenda is being pushed very deliberately by government policy. 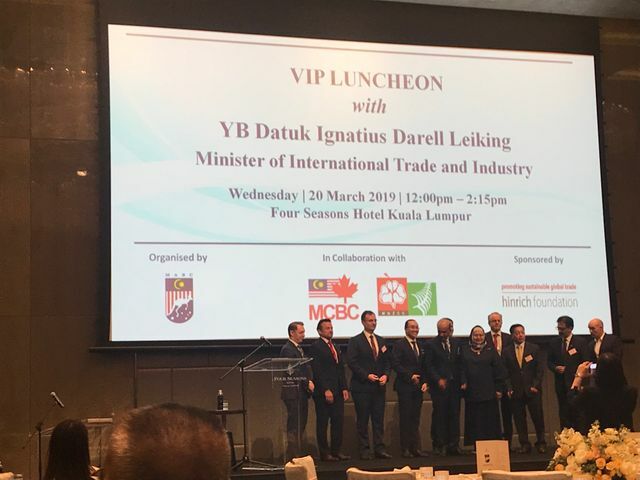 As an example, to further push the boundaries of ecommerce, Malaysian officials have recently collaborated heavily with leaders from China’s Alibaba to learn ore about success-factors from such companies to bring lessons learnt back to Malaysia. Such lessons and resulting policies will be laid out in the National ecommerce strategic roadmap by bodies such as the National ecommerce council. High levels of digital penetration in our domestic market also make Malaysia a very attractive digital destination. Malaysia is ranked 3rd for digitization in Asia, only behind SG and Korea with 87.4% penetration. It was also encouraging to hear how IOT and smart manufacturing are now regarded to be key national initiatives.